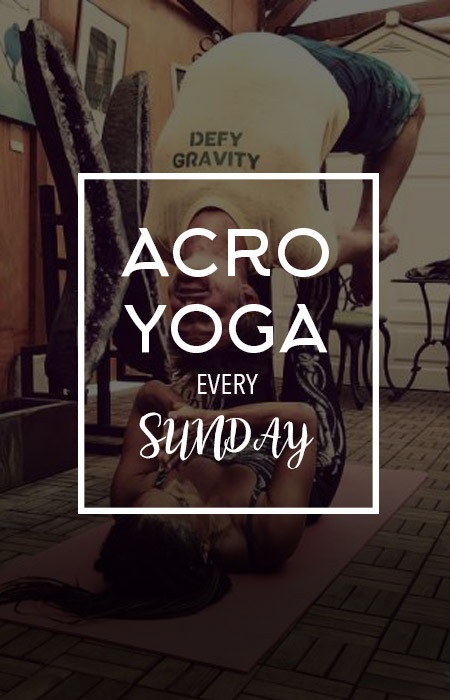 INTRO TO ACRO YOGA WORKSHOP is led from 11am-12:30pm each Sunday at Mystic Journey Bookstore by Karen Elaine. A certified Acro Yoga Montréal Instructor, Karen guides participants in partner stretches, counterbalance, and lifting. All participants will learn the fundamentals of how to base, fly, and spot. Each session features a new sequence, allowing returning students an opportunity to explore the infinite range of motion and creative shape making this partner yoga practice offers. More photos and details about the acroyoga practice and your instructor are available on her website www.YogaMusic.Me in the acroyoga section.